It is supposed to make its official debut at the 2017 Frankfurt Motor Show next month, but Volkswagen has finally revealed some details on the “light updates” that the Golf SV is scheduled to receive. 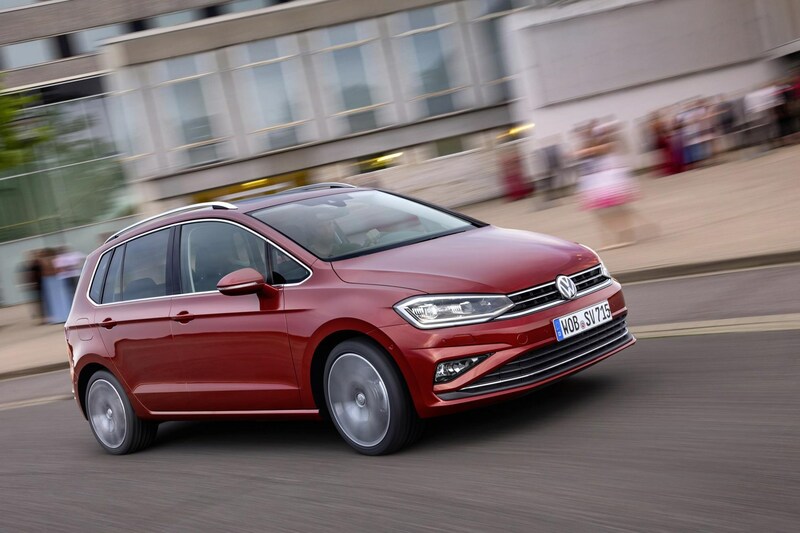 The Golf range has been recently revised, so it’s only a matter of time before the Golf SV follows suit. The exterior received subtle adjustments such as revised bumpers on the front and rear, a tweaked grille, and LED headlights on the top trims and LED taillights. If you are looking for a new color, you’ll be happy to know that a new Cranberry Red paint is now available. There is also a range of alloy wheels that you can choose from to complete the overall look of the Golf SV. Once you’re inside, you’ll be comfortable with new fabrics and materials, as well as the new Discover Pro navigation system with a 9.2-inch touchscreen displays featuring capacitive touch buttons on the side and new a whole new tech—gesture control and increased smartphone connectivity. 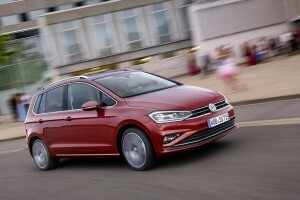 The new safety tech is also available for the Golf SV, and rightfully so because VW enthusiasts have been demanding for it. 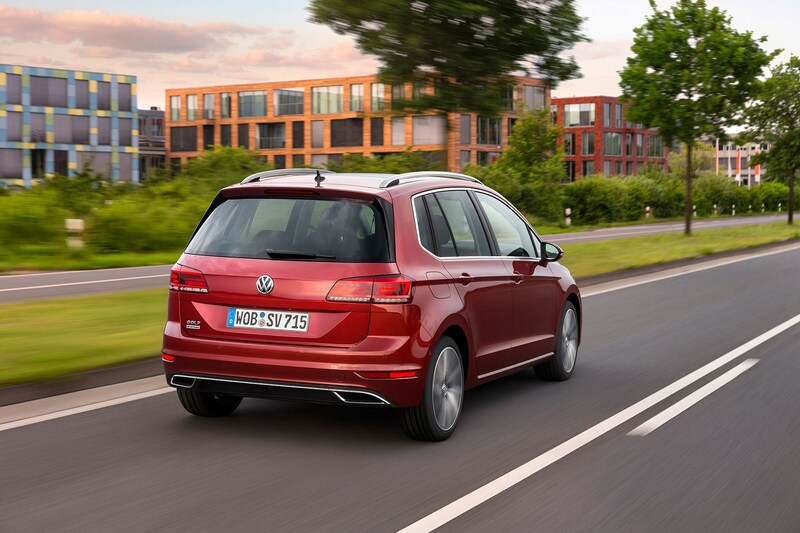 The safety technology currently in place in the Golf SV are the Front Assist with City Emergency Braking and Pedestrian Monitoring. Prospective buyers can also expect to see the Traffic Jam Assist and an updated Park Assist System and Trailer Assist. 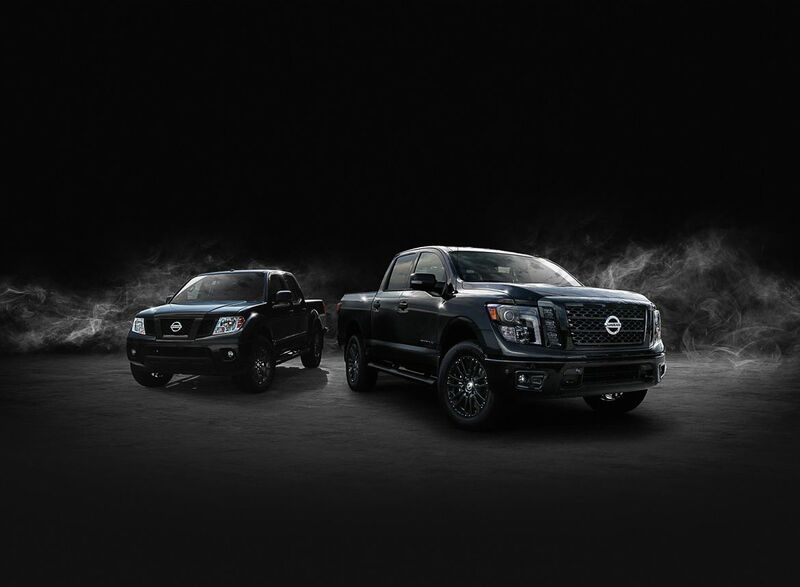 The Traffic Jam Assist, in particular, is a low-speed adaptive cruise control that can work up to 37mph. Volkswagen has yet to reveal details on its engine specifications, but earlier reports point to the possibility of the SV featuring three TSI petrols and two diesel engines. These would most likely be upgraded to improve efficiency. Pricing and release date for the UK market will be released later this year. 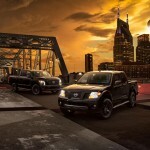 A trio of pickup trucks that have been fitted with the Nissan Midnight Edition pack were unveiled. This came just in time for the solar eclipse that took place on Monday. 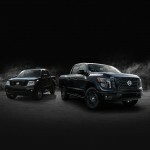 The three pickup trucks that received the treatment were the midsize Nissan Frontier, the full-sized Titan, and the heavy-duty Titan XD. These are all going to be 2018 models, but will reach Nissan dealerships later this year. The Midnight Edition will be offered in three colors only—black, gray, or white. 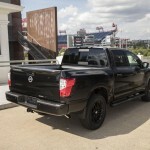 The Midnight Edition for the Nissan Frontier will be applied on the four-door Frontier SV crew-cab model, which comes with Nissan’s 261-horsepower 4.0-liter V-6 engine. The dark trims can be seen on the body-color bumper, the blacked-out grille, side steps, door handles, the 18-inch wheels, and the rearview-mirror caps. 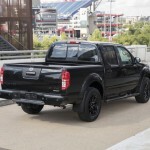 The package is not available for the truck’s six-speed manual transmission. 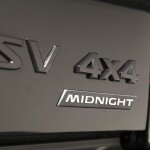 The Midnight Edition package is available both for the SV or SL trims of the Titan and Titan XD models. 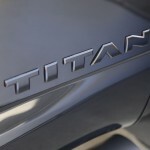 However, the package for the Titan will require owners to add the torquey turbocharged 5.0-liter V-8 diesel engine. 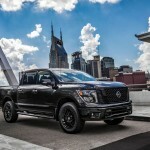 Both models, through the Midnight Edition package, will have body-color bumper covers that complement the trucks’ 20-inch wheels, black grille, rearview mirror caps, door handles, and side steps. 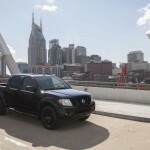 The Titan and the Titan XD will also have black headlights and fog lights with charcoal interior trim. 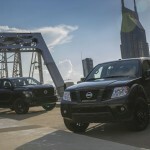 The Titan XD, particularly, will be fitted with black painted fender vents. 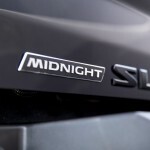 There is no pricing information yet for the Midnight Edition trucks that will be released as 2018 models. For the current 2017 models, the diesel XD will cost $4,800 more on the SV crew cab while owners would be required to pay $5,250 for the same configuration on the SL crew cab. More details on the prices are expected to be released soon. 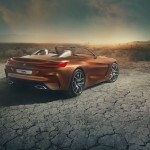 The BMW Z4, which was introduced back in 2003, was a compact, two-seater that can be had as a soft-top convertible or a coupe. It has a sporty exterior and naturally-aspirated engines until the second generation started the turbo engine trend. 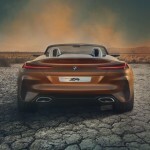 The Z4 never looked back and now offers turbocharged engines. 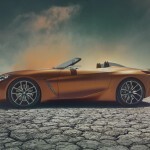 The Concept Z4 is a lot of things, including aggressive, sporty, and hell-bent on being noticed. The highlights of its exterior include the wide kidney grilles, the chrome inside the headlight lenses and the side view mirrors, and the nose that overhangs the lower portion of the front fascia. 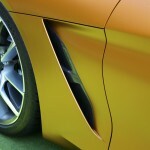 The hood is probably the most significant of its look, thanks to those long, recessed vents that also highlights the two dominating lines on the side profile that continue from the fender area to the door. 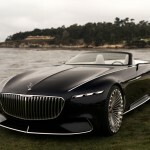 This provides a sense of depth and aggression to the overall body style. The windshield has a frameless look to it with only the dark tint around the edges to separate it from the rest of the body frame. 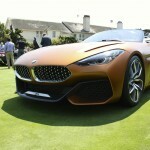 The interior of the Concept Z4 is bold and unique, thanks to the two-tone nature of the cabin. 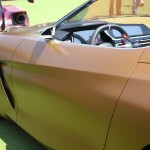 The passenger side is covered in orange Alcantara while the driver’s side used black leather and some black Alcantara. 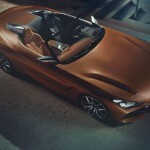 The focus of the Concept Z4’s interior is the driver, and that can be clearly seen by the way the controls are aligned and positioned close to the driver’s seat. 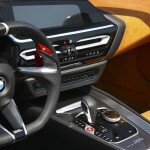 At the front of the four-spoke (technically) steering wheel is the all-digital instrument cluster with two primary gauges—the tachometer and the speedometer. The gauges on the lower portion are for the fuel and engine temperature. 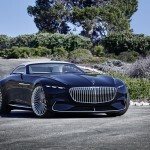 The interior has a very futuristic design and concept, but we’re hoping to see it once the production model is ready. 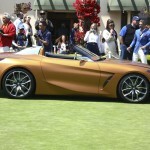 The rumor mill says that the Concept Z4 will have a 2.0-liter four-cylinder and a 3.0-liter inline-six. 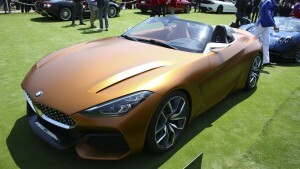 The 2.0-liter will be the one offered in most entry-level BMWs. 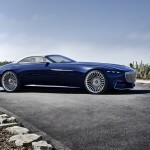 It would be able to produce 258 horsepower. 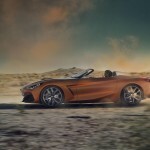 But since this is a third-generation Z4 already, the German automaker needs it to stand out with probably something close to 270 horsepower and 290 pound-feet of torque. 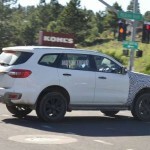 Are We Looking At The Upcoming 2020 Ford Bronco? 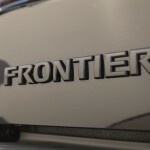 Ford earlier said that the Ford Bronco would arrive in 2020 and the new Ranger a year before that. And though we’re all excited on what could possibly be in store for us in the next two years, no details have been released and we’re left to imagine how the Bronco would look like. You can’t really blame car enthusiasts because this is the first time Ford is diving into the new midsize trucks competition. The Bronco will give the Chevrolet Colorado, the Toyota Tacoma, and the Jeep Wrangler a run for their money… and yet, that’s not until 2020. We kept on thinking how the new Bronco would like. Would it be similar to the concept Ford showed off in 2004 or how about the Brazilian-market Ford Troller, which has a boxy and utilitarian off-road look? Then again, there’s the Ranger-based Everest, a family-friendly SUV. 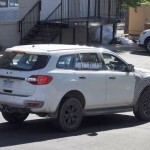 The spy photos shown here look like a warmed-over, right-handed Everest, which is why a lot of Bronco enthusiasts are scared that it is what exactly we might be getting in 2020. Raj Nair, Ford’s chief technical officer, was quick to clarify these reports. 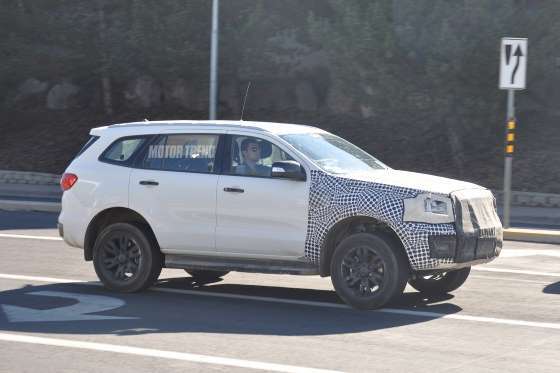 Back in January, he told Autoline that Ford does not plan to make the Bronco similar to the Everest. 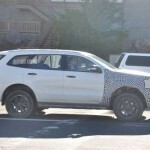 The new Bronco will be completely “unique” from the Everest, he said. The front end was covered in checkered camouflage, so we’re thinking Ford doesn’t want us to see something new on the front. But since most of the SUV is undisguised, we’re sure the production model would look very different. 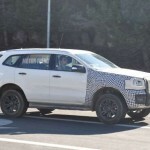 For now, as mentioned by an “inside source” a few months ago, we can assume that the new Bronco would look similar to Brazil’s Troller, albeit the former will be a four-door version. 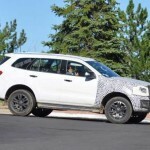 Although we would love to see a two-door Bronco, there’s not much market for a two-door midsize SUV, so we’ll be contented with a four-door version if that’s what it takes. 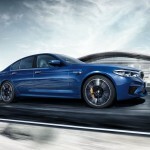 German automaker BMW finally unleashed its 2018 BMW M5 in all its glory. Though looking very similar to the regular 5 Series, it now has larger grilles, trademark vents in the fenders, an aggressive rear valance with a faux diffuser. 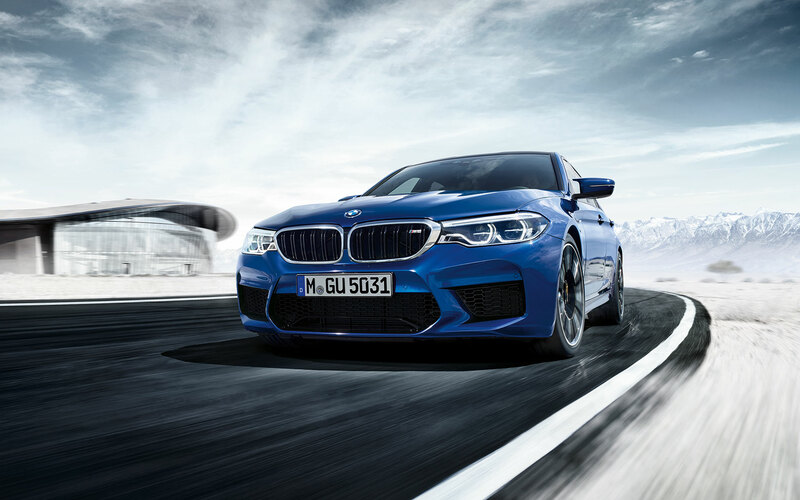 Once you enter the car, you’ll find the same luxurious BMW setup—special-power heated sport seats with illuminated M5 logos and two bright red M buttons on the steering wheel. 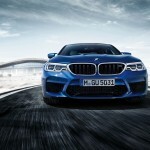 If you want to be wowed by the new M5, you’ll have to pop open the hood. Underneath, you’ll find a plethora of amazing specifications. 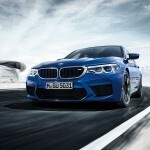 The 2018 BMW M5 will have the same twin-turbocharged 4.4-liter V-8 engine, but it can now produce 600 horsepower and 553 pound-feet of torque, an increase of 40 horsepower and 53 pound-feet of torque from the previous generation (that’s not counting the fact that a limited edition producing 600 horsepower was also released). Impressed with the power and torque? 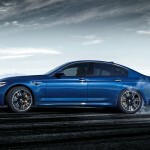 That was paired with an 8-speed automatic transmission and an all-wheel-drive system, which was a first for an M5. 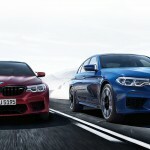 Don’t fret, the unique system will also allow the M5 to function on purely a rear-wheel-drive setup, one of the car’s three driving modes. 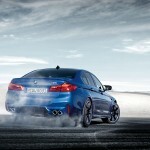 The all-wheel-drive system will keep the stability control from intervening in the driving mode. 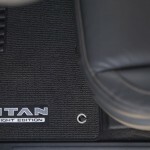 It will instead provide more traction and control from the first drive. And thanks to the unique system, the car will also be able to hit 60 mph from 0 mph in just 3.2 seconds. The top speed is 189 mph when paired with the M Driver’s Package. Without it, it can still go to 155 mph. 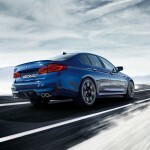 The 5 Series traditionally has the double-wishbone front setup and the multi-link rear suspension. This has been revamped on the 2018 M5. There are now firmer anti-roll bars and loads of chassis bracing. It also boasts of 19-inch wheels, which count for the wider track. 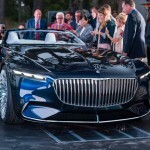 If there was any one reason to visit the prestigious and exclusive Monterey Car Week in California, this was it—the Vision Mercedes-Maybach 6 Cabriolet. 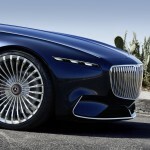 When you first look at it, you’ll probably think about a shorter version of the Vision Mercedes-Maybach revealed during the Pebble Beach Show last year. And yet, for the life of us, we know there is so much more about this year’s version. And we were not wrong. 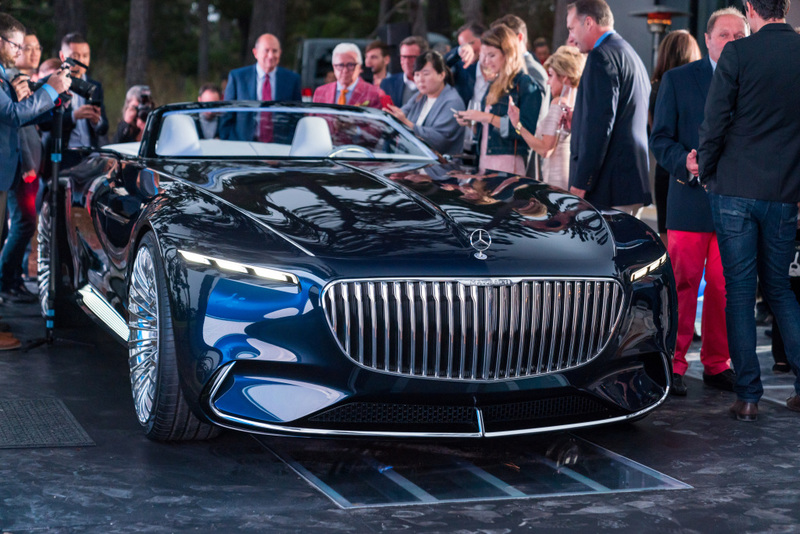 On the outside, the Vision Mercedes-Maybach 6 Cabriolet looks like a Riva speedboat, thanks to its angular rear end that seems to just end without so much as a peepshow of a trunk. Some said it even looks like a pen; a very exclusive and expensive one at that. 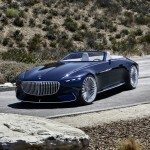 What’s bothering us is the fact that the Vision Mercedes-Maybach 6 Cabriolet is 5.7 meters in length and 2.1 meters in width and yet, somehow, Mercedes just find enough time to put in two seats there. That’s a lot of excess space, if you ask us, but there is a method to this madness, of course. Whatever space it might have for more passengers, it has to give up for the massive center-locking 24-inch wheels and four electric motors that are powered by an underfloor battery pack. 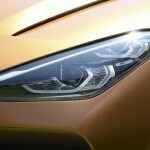 It can power up to 740bhp with its four-wheel drive system. The electric motors are powerful enough to go from 0 to 62 mph in sub-four, and the battery pack is good for a range of 310 miles. Maybe you’re excited about the headlights or the grille, but the true luxury astounds you once the white fabric roof with interwoven rose gold threads reveal what’s inside: crystal white nappa leather, a full-width digital display, and illuminated buttons stitched into the seats. The center tunnel looks like it’s floating and transparent (blue fiber optic lights show the car’s energy flow). 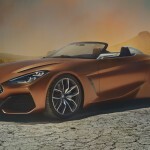 This is a concept, or a vision, for now, but we do hope Mercedes engineers would put its heads together and just turn this into a production car. The debut of the much-awaited 2018 Porsche Cayenne will be on August 29. By the end of this year, it is expected to start production for a possible 2019 market release. Why are we not surprised? It has long been rumored that there will be a 2017 introduction of the all-new Cayenne, along with some more information about the SUV’s diesel powertrains. 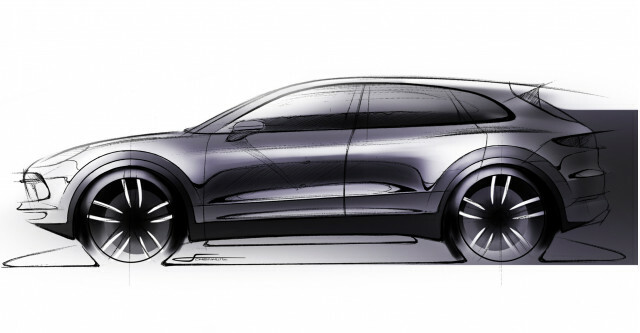 During the debut, the 2018 Cayenne will be expected to unveil a single- or twin-turbocharged V-6 engines while a turbocharged V-8 engine will make rounds during the 2017 Frankfurt Motor Show. Porsche will make use of Volkswagen’s highly-touted MLB platform for the 2018 Cayenne, which it will now be sharing with other VW Group products such as the 2017 Audi Q7, the Bentley Bentayga, and the 2018 Audi Q5. Luxury car Lamborghini Urus SUV is also expected to use the MLB architecture. What’s good about the MLB platform? It offers lighter weight, improved fuel efficiency, and greater rigidity. Because of the architecture, the 2018 Cayenne is expected to shed off around 220 pounds in curb weight. 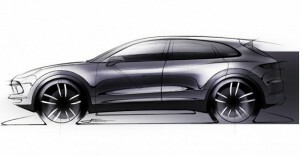 Though there are new information about the diesel powertrains that the Cayenne will come with, the development of these particular drivetrains might have to be delayed. We might not be able to see the option in the United States, but new regulations in the European market would demand for its launch. But since Volkswagen is still dealing with governments and regulators regarding the diesel scandal, Porsche would have to backtrack a bit and push the introduction of the diesel powertrain to the future. The skyrocketing fuel prices in Europe will, of course, push Porsche to hasten the release of their vehicles’ diesel options. A Porsche source said there’s no way the Europe market would switch to gasoline cars. In the United States, Porsche is expected to release the 2018 Cayenne S E-Hybrid, which will be able to produce 680 horsepower. If you are familiar with the Koenigsegg CCXR Edition, you can imagine how the 2010 Koenigsegg Trevita would look like. It looks like a limited edition of the CCXR Edition, which in Swedish means “three whites,” a reference to the model’s rare exterior features. 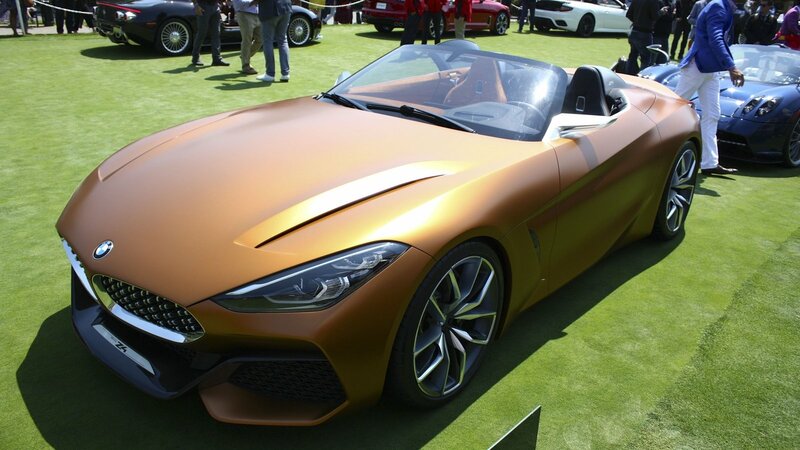 There are loads of supercars out in the market but perhaps, none can equal the looks of the Trevita. 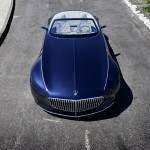 The car features a targa bodystyle with a removable hardtop roof that can be stored in the trunk under the front hood. The doors are operated by what is called dihedral synchro-helix actuators and they open up smoothly. The exterior of the Trevita might be “outlandish” to say the least, but the interior speaks very much of a two-seater road goer. It has the usual power windows, adjustable pedals, steering column, and seats, a rear parking sensor, dual airbags, climate control, leather upholstery, and tire pressure monitor. The cargo space is very practical at 4.25 cubic feet, and the infotainment system is both practical and standard—touchscreen on the center console, an MP3 player, a satellite navigation, and a USB connection for mobile devices. 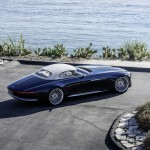 The Trevita uses a rear-mid-engine RWD layout with a hand-built, aluminum 4.8-liter V-8 engine that can produce 1,018 horsepower at 7,000 rpm and 796 pound-feet of torque at 5,600 rpm. It can go to 62 mph in mere 2.9 seconds from 0 mph while 0 to 124 mph takes 8.75 seconds. The top speed is at 254 mph. At first, Koenigsegg wanted to produce at least three Trevita but the Shimmering Diamond Weave made this impossible. They were only able to produce two. 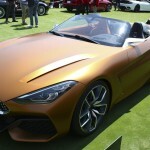 The first one was sold to an unnamed man in Geneva while the second went to five-division world champion Floyd Mayweather Jr. for a whopping $4.85 million. Since Volkswagen released its premium crossover called the Tiguan, many have criticized it because it’s prices higher than most of its competitors and contemporaries. 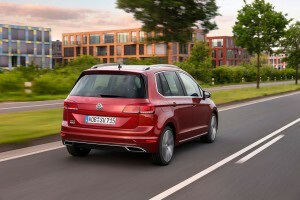 The German automaker announced, however, that a Limited model of the Volkswagen Tiguan will be selling for $22,860. The Limited model is based on the previous-generation Tiguan, but will sell alongside the 2018 Tiguan that uses the MQB architecture. The 2017 Tiguan S, which was the base model, has a starting selling price of $25,860 while the new 2018 Tiguan has an even higher price tag of $26,245. Though the 2017 Volkswagen Tiguan Limited has very basic features, it more than make up for the lower price. The 2017 Tiguan Limited model has 16-inch steel wheels, halogen headlights, 5-inch touchscreen display, rearview camera, Bluetooth, and cloth seats. If you are not contented with these, you can upgrade it with a Premium package for $1,295. They’ll get a 6.33-inch touchscreen, VW Car-Net connectivity with Apple CarPlay and Android Auto, and an HD radio. It also has leather steering wheel, keyless access with push-button start, roof rails, and cruise control. 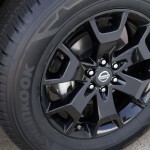 Do you want a 17-inch aluminum alloy wheels? That would cost $495 more. There is enough power to entice buyers to shell out their money for the 2017 Tiguan Limited. 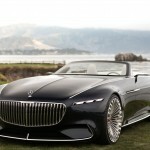 Power is sourced from a 2.0-liter turbo-four engine that can produce 200 horsepower and 207 lb-ft of torque. All the models will be paired with a six-speed transmission (the 2018 model offers an eight-speed transmission). You should be happy to know that this new-ish model grew 10.6 inches in length and 7.3 inches in wheelbase, meaning an increased cargo space and second-row legroom. The 2018 model is much better with an improved cargo space, thanks to a third-row level. Finishing these all up is the choice of either a front- or an all-wheel drive. This model, an alternative to the pricier Tiguan variant, will arrive soon in dealerships. Since 2001, German company Volkswagen has been hinting of the possible return of its much-loved Microbus. 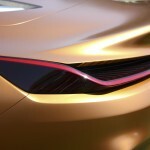 After more than a decade of waiting, it looks like VW is finally ready to give us what we have been looking forward to—the I.D. Buzz. The next-generation bus first appeared as a concept car called the Bulli at the 2011 Geneva motor show then as the electric Budd-E Concept at the Consumer Electronics Show in 2016 and finally, as I.D. Buzz Concept at the 2017 Detroit auto show. 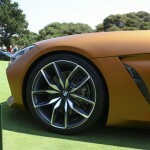 During the Pebble Beach Concours d’Elegance, VW announced that the I.D. Buzz will be put into production and will be released sometime in 2022. This will make the second time that VW tries to make its mark in the electric vehicle industry. The first one was the compact four-door hatchback called the I.D. It looks like we’re not only going to be treated to an I.D. Buzz, but an I.D. Buzz Cargo as well. VW promised that the minibus won’t just be able to carry passengers, but cargo, too. Aside from that, the passenger variant will have configurable seating and interactive connectivity. The seats can be turned almost 360 degrees, so that passengers face one another. The I.D. Buzz will also be able to save user settings or profiles to the cloud. The setting will save the seat position, destinations, music preferences, colors of the display, and many more. 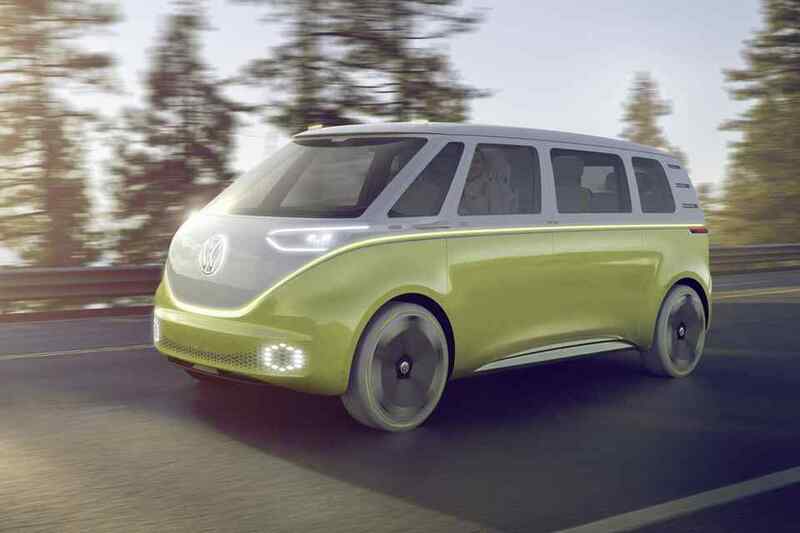 VW has yet to release the battery size, but the concept wears the batteries in the floor, which allow for short overhangs front and rear. 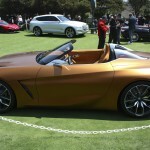 The vehicle will have two motors, each one placed on the axle and can create a total of 369 horsepower. 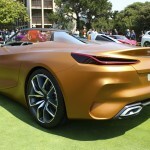 According to VW, the I.D. 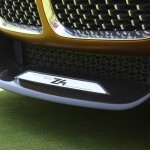 Buzz will be able to drive 270 miles on a single charge. The I.D. 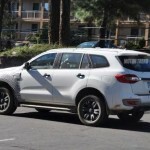 Buzz will use Level 3 autonomy, which can handle all driving duties under certain conditions, though a driver must always be present in case the system requests for his intervention. 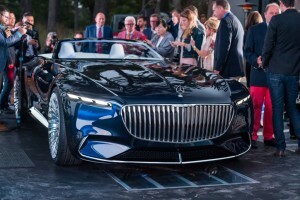 The concept vehicle allows for a retractable steering wheel for a fully autonomous driving mode. The I.D. Buzz will be offered in North America, Europe, and China.